For a fine-dining experience within the comfort of your very own guest room or suite, Sofitel Singapore City Centre offers an extensive In-Room Dining menu featuring the roots of Gastronomie Française and refined Local Chinese Cuisine from Racines, as well as handcrafted specials by our talented culinary team using only the finest produce and sustainable ingredients. Enjoy world-class cuisine in the comfort of your luxurious room or suite. 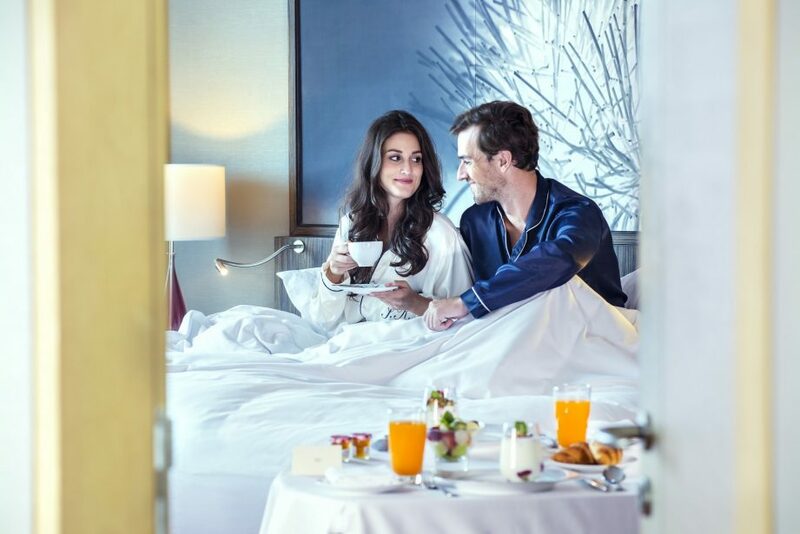 From reinvented French classics to Local Chinese delicacies, our 24-hour In-Room Dining service allows you to experience the genius of the hotel’s culinary brigade at any time of day or night. Taking your experience to a whole new level, a selection of quality minibar items have been prepared for your enjoyment (complimentary for Luxury Premium rooms and above). For a more extensive list of minibar items, our beloved Sophie, the droid butler will deliver right to your doorstep while spreading cheer throughout the hotel with their endearing smiley faces.